Black general purpose PVC. Thicker sole ensures better wear and reduces stud pressure. Description: Black PVC slip on.. 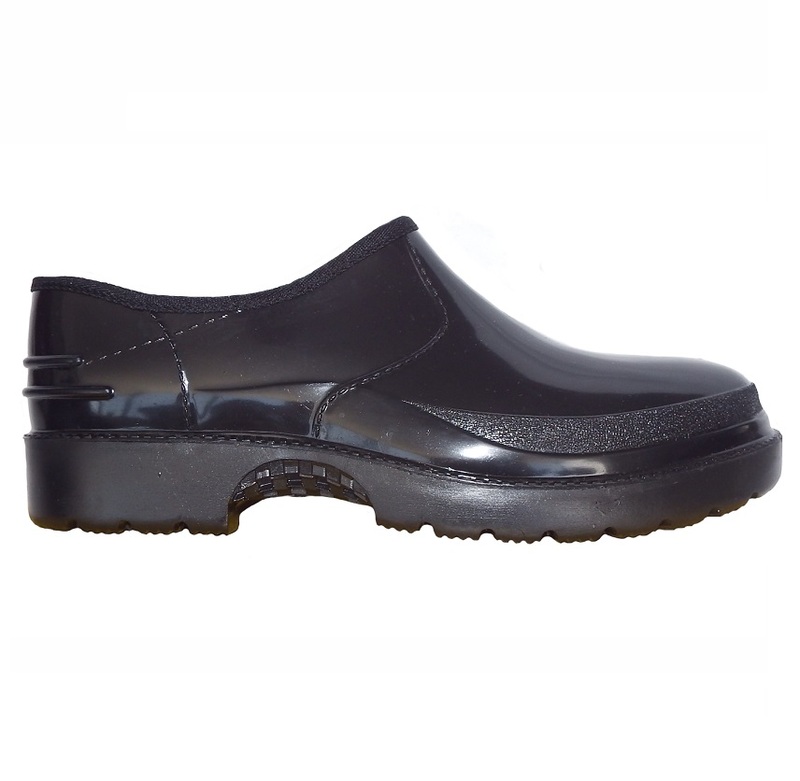 Identification: Black upper black Sole, Black EVA moulded insole. CLAW Brand and white thermal insole with black print branding. CLAW – TRACTION CONTROL Technology The CLAW tread is made up of “saw teeth” running forward and backwards Increases the surface area and ensures the best possible traction on all terrains. Important: Claw water shoes/slip ons fit the foot exactly like a pair of shoes. Example, if you normally wear a 4, our size 4 will fit perfectly. Thicker sole ensures better wear and reduces stud pressure. Tough and rugged yet stylish branding Reinforced, thickened toe for greater personal protection Completely washable. Soft padded EVA insole increases comfort.